Koda (pictured right) is a male Siberian Husky who has been missing since April 12. 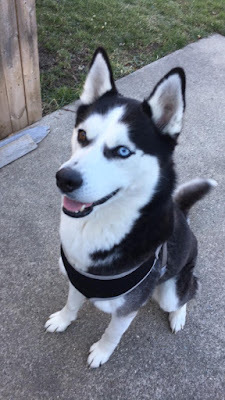 He is two years old, has black and white coloring, brown and blue eyes, and was last seen wearing a black and gray harness. Koda is missing from the area around Plainview and W. Warren Ave.
Koda's owner, Gerardo Garza, is offering a cash reward for his safe return. If anyone knows anything about Koda's current location, please reach out to Gerardo Garza. His phone number is (313) 648-9380 and his email is Ggarza1997 [at] Gmail [dot] com.